Hi everyone, Christine here today. This is my year for trying out some new things. 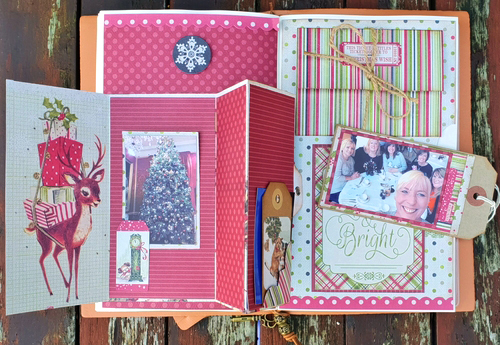 I picked up this journal online and chose to make a special memory page of a festive day out with friends. 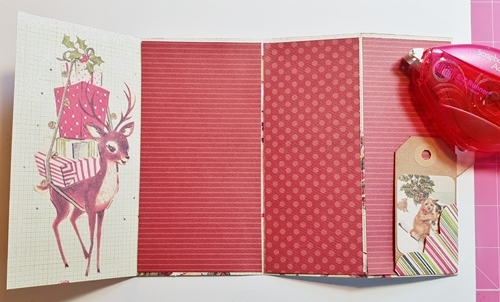 Using E-Z Runner® Permanent Strips Refillable Dispenser, I affixed cut pieces of the patterned paper onto the journal. I knew I wanted to create interactive elements so began to create those separately. Folding a piece of the patterned paper concertina style and affixing more panels. 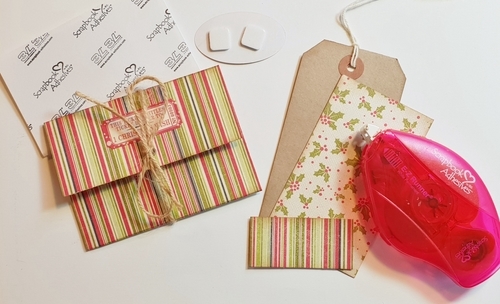 I created a little die cut corner for the tag. I will place photos onto these. To securely hold the concertina element onto the page I opted for Extreme Double Sided Tape 1/2″, this will definitely hold! Affixed a little tab to use as the opening. 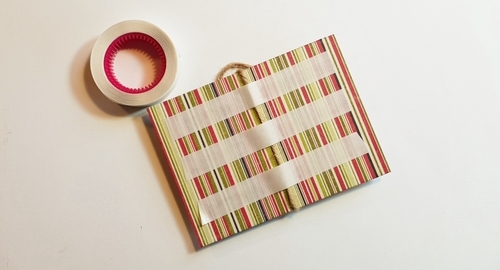 Creating a small envelope and tying with twine. Crafty Power Tape affixed to the reverse which will securely hold that twine in place. 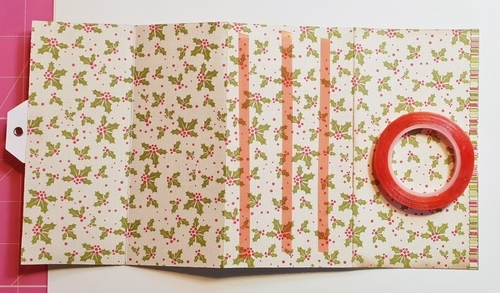 Using a manila tag and E-Z Runner® Permanent Strips Refillable Dispenser to attach more patterned paper pieces. I added a little distress ink to the edges. 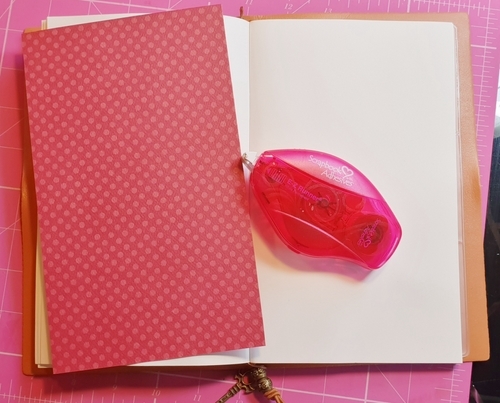 Within the paper set, there is pop out stickers, attaching 3D Foam Squares Regular instantly adds an extra dimension. The page is ready for some photos and extra elements. The finished page..or is it? I like to leave a little space to go back and add perhaps the tickets for our day out or a little note. Thanks for stopping by and hoping you feel inspired to try something new this year. This entry was posted in 3D Foam Squares, Adhesives, Crafts & Tutorials, Crafty Power Tape, E-Z Runner® Dispensers, Extreme Double-Sided Tapes, HomeHobby by 3L, Intermediate, Permanent Adhesive, Planners, Scrapbook Page, Scrapbooking, Skill Level, Tutorial and tagged 3D Foam Squares Mix White, 3D Foam Squares Regular White, Authentique Paper, Christine Emberson, Christmas, Crafty Power Tape 20' Dispenser, Crafty Power Tape 20' Refill, Crafty Power Tape 81' Dispenser, E-Z Runner Permanent Strips, E-Z Runner Permanent Strips Refill, E-Z Runner Permanent Strips Refillable, E-Z Runner Permanent Strips Refillable Value Pack, Extreme Double-Sided Tape 1/2", HomeHobby by 3L, Journal, Spellbinders Paper Arts, Tutorial. Bookmark the permalink. 6 Responses to "A Special Memory Page"
this is such a cute page with spots for everything. love it!. Lovelthis journal page Christine. Thanks for sharing it. 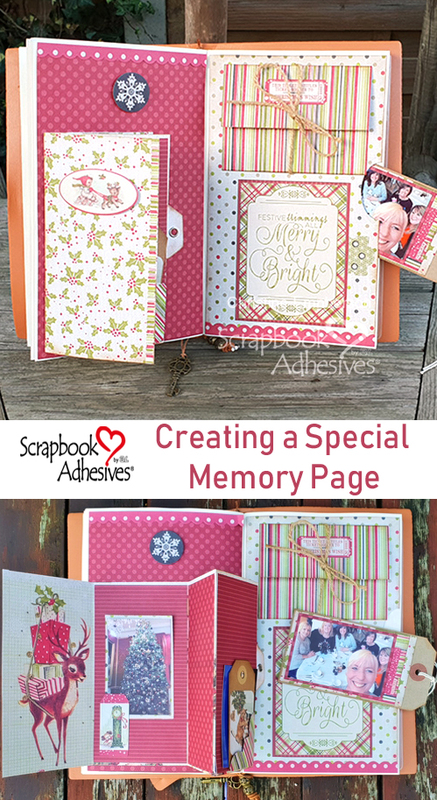 This memory book/journal page is fabulous and I’m really looking forward to copying some of your ideas. What a lovely page. 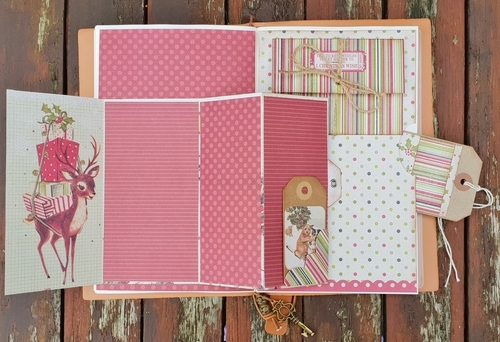 I’m trying to be more adventurous with my scrapbooking and this has given me some ideas.